November 14 is a day of infamy that will live in our hearts forever, like 9/11, we will always remember where we were when we learned the news. For those who were not yet born they will always remember the heroes. The heroes were the Huntington faithful who live with heavy hearts and memories of the loved ones that perished. I lived in Cumberland, Md at the time, but even as a young boy, I remember my dad and mom talking about the crash. Even if you did not have loved ones aboard, you were affected. Huntington and Marshall always has and always will be an intertwined society. We have healed but will never ever fully recover. Every generation of Marshall University will always pay respect on November 14. It is a hallowed day but while we have heavy hearts on this day, we will always hold our heads high. The Thundering Herd football team was on board Southern Airways Flight 932, a chartered Southern Airways Douglas DC-9 United States commercial flight, coming home from Kinston, North Carolina to Tri-State Airport near Ceredo and Kenova in West Virginia...just outside of Huntington. The team had just lost 17-14 to the East Carolina Pirates in Greenville, North Carolina. The flight crashed into a hill located outside of the Tri-State airport. In the worst sports related air tragedy in U.S. history, all 75 people on the plane were killed. 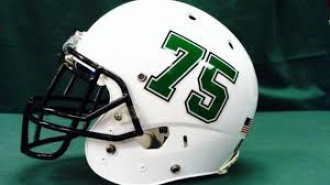 Thirty-seven members of Marshall University football team, eight members of the coaching staff, twenty-five boosters, and five flight crew members passed away during the crash. A movie recounting the tragic accident and the rebuilding of the football program debuted in theatres December 22, 2006. Matthew McConaughey portrayed Jack Lengyel, the energetic coach who took a job that no one wanted and put together a feisty team that became known as "The Young Thundering Herd." This past August, Young Herd quarterback Reggie Oliver passed away at 66. He threw a touchdown on the last play of the game to fullback Terry Gardner as the Young Herd topped Xavier 15-13 in 1971, a play immortalized in "We Are Marshall." Oliver gave a very spirited speech this past April 28 at Green and White Day in which the Memorial Fountain is turned back on after being turned off on November 14. Marshall is truly the Phoenix. Marshall University refused to die. The Herd has come back stronger than ever and has grown in so many ways. But most importantly we have grown together. Perhaps we are bonded together by the pain of the crash, but we are bonded. For the chant of "we are Marshall" will forever have many meanings, amongst will be the memories of those lost on November 14. But also we understand that Marshall rebounded and though wounded, we survived and prospered. Memories of those lost will live forever and beyond. Marshall football lives on. The chant "We are Marshall" lives on and like a thread it connects and bonds those who perished, the loved ones who suffer, and those who will ever walk the proud grounds of Marshall University. For "We are Marshall is more than a chant: it is a heritage, a tradition, and a way of life.